ch of a first generation bank in the market. 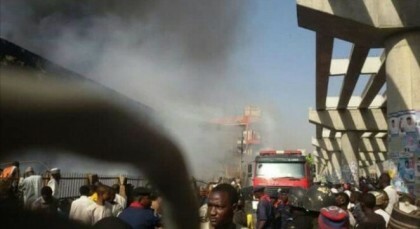 A corresponding of the News Agency of Nigeria (NAN), who visited the market, reports that the popular Gidan Maggi, which is located close to the bank, was also destroyed. Other popular sections of the market affected by the fire include footwear, soft drink, books, plastic and jewellery. Some traders, who spoke to NAN, expressed concern over incessant outbreak of fire in the state. One of the traders, Alhaji Haruna Abdu, said he lost his entire shop to the fire. Abdu, who was still in shock, said it was not possible to quantify what was lost to the disaster. Another trader, Alhaji Musa, said about two thirds of the market was destroyed, adding that no fewer than 4, 000 shops were razed by the fire. The traders, who called for investigation into the cause of the fire, urged the Federal and Kano State Governments to come to their aid.